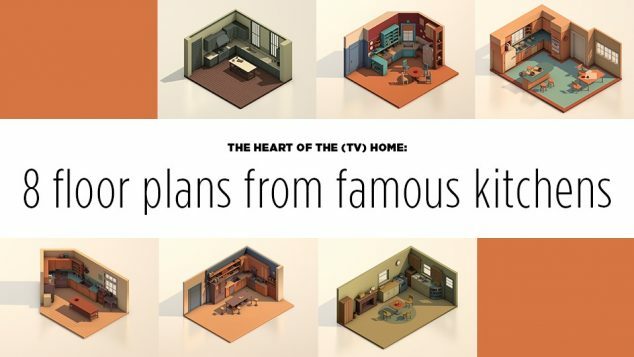 Next time you tune in to your favorite show, why not take some interior design inspiration? Whether you’re doing a complete renovation or just want to incorporate some small touches, these designs should get the creative juices flowing. How Can I Remodel for a Vintage-Style Kitchen? What makes the ultimate dream kitchen? Hello. My husband and I are planning to have our kitchen remodeled. The one issue most noticeable is It is a narrow galley kitchen so changing it to optimize the space is first and foremost. Do you have any galley remodels as an example? Click here to view a few gallery photos that have been submitted by homeowners with narrow kitchens. I hope this is helpful! These graphics are very interesting, love the Mad Men design the most. The Retro 60’s suburban style.